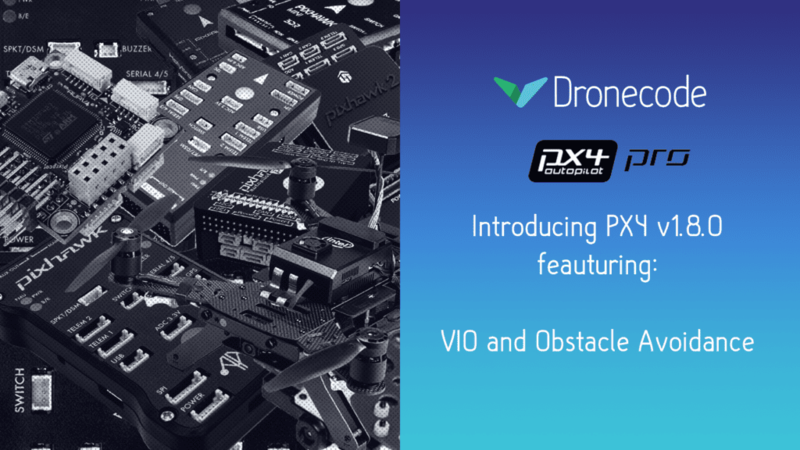 The joint Dronecode community of members and contributors is delighted to announce the release of PX4 1.8. This release marks a milestone in the development of the platform and hopes to bring stability and performance improvements. This release is also the first one to include significant autonomy improvements in VIO and obstacle avoidance. It took 1,755 commits with the help of 31 contributors and thousands of flight hours across all of our supported hardware platforms to finalize PX4 v1.8.